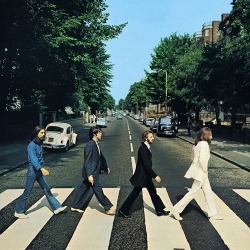 Abbey Road is the finaly recorded album by the beatles. The album was made in 1969. There was 2 singles on it Something and Come Together. This album is one of best albums of all time. Let It Bleed is the eighth album by English rock band The Rolling Stones, released in December 1969 by Decca Records in the United Kingdom and London Records in the United States. Released shortly after the band's 1969 American Tour, it is the follow up to 1968's Beggars Banquet and the last album by the band to feature Brian Jones. There was hits on it like Let It Bleed You Cant Always Get What You Want and many more. Elvis Is Back! 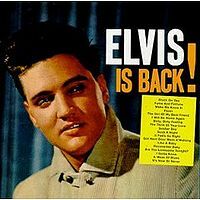 is the tenth album by Elvis Presley, released on RCA Victor Records in mono and stereo, LPM/LSP 2231, in April 1960. Recording sessions took place on March 20 and April 3, 1960, at RCA Studio B in Nashville, Tennessee. It was Presley's first album to be released in true stereo. It peaked at #2 on the Top Pop Albums chart. 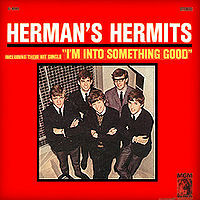 Herman's Hermits (sometimes called Introducing Herman's Hermits) was the first U.S. album released by the band Herman's Hermits. It was first issued in 1965. There are three different covers for this album. Original covers indicate "INCLUDING THEIR HIT SINGLE 'I'M INTO SOMETHING GOOD'". When "Mrs. Brown You've Got A Lovely Daughter" was issued as a single, a yellow sticker was added to the cover, incorrectly reading "FEATURING 'MRS. BROWN YOU HAVE A LOVELY DAUGHTER'". Once the latter became a #1 hit, the sticker was eliminated and the cover was changed to read, with correct title, "INCLUDING 'MRS. BROWN YOU'VE GOT A LOVELY DAUGHTER". 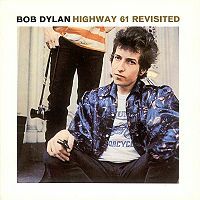 Highway 61 Revisited is singer-songwriter Bob Dylan's sixth studio album, released in August 1965 by Columbia Records. It is Dylan's first album to be recorded entirely with a full rock band, after he experimented with the approach on half of Bringing It All Back Home. It is commonly tagged as documenting the "angry young man" period in Dylan's career, in-between the playfulness of its surrounding albums; many of the songs on Highway 61 Revisited are of an accusatory nature and feature rough, loud takes. Featuring hits and concert staples such as "Like a Rolling Stone", "Desolation Row", "Highway 61 Revisited" and "Ballad of a Thin Man", it is also generally considered to be among the artist's best and most influential efforts. Dylan himself commented, "I'm not gonna be able to make a record better than that one... Highway 61 is just too good. There's a lot of stuff on there that I would listen to." The album peaked at #3 on Billboard's Pop Albums chart and #4 in the UK, while "Like a Rolling Stone" reached #2 on the US Pop Singles chart and #4 in the UK, also receiving the accolade of being placed #1 on Rolling Stone's 500 Greatest Songs of All Time. In addition, "Desolation Row" and "Highway 61 Revisited" were also included on the Rolling Stone's 500 Greatest Songs list, at #185 and #364, respectively. The album itself was ranked #4 on Rolling Stone's 500 Greatest Albums of All Time.